Lets face it, not every part of growing old sounds great, especially when you are a women and you start to think about menopause. This is a time when estrogen and progesterone hormones start to diminish, and hot flashes start to rise. Additionally this period of time brings with it other “not so pleasant" symptoms, such as weight gain, increased food cravings, mood swings, depression and cognitive decline, among other things. Menopause is also linked with health challenges that must be taken seriously. High blood pressure, weight gain and an increased risk for breast cancer, osteoporosis and heart disease are all a result of the decrease in hormones. At this time many women opt to seek hormone replacement therapy, although it is not a cure all and not for everyone. At the same time, many women think about what other options there are to help get them through this often physically and emotionally unsettling time. The truth is that taking a proactive role nutritionally can be just the answer you are looking for to get through menopause more easily. Before, during and after menopause, there are many ways to adjust your diet to reap the most benefits in warding off symptoms and effects of menopause. The best thing to do is get educated early on about how to eat during menopause so that when the time comes you are well aware of how eating the right things can be one of your best allies in making the best of a potentially uncomfortable time. Carbohydrate Snacks - During menopause many women experience mood swings that might be accompanied by bouts of depression. As hormones fluctuate, brain chemistry does as well, especially when it comes to serotonin. As serotonin levels start to dip lower, a women often craves sweets and feels irritable. When the serotonin rises, cravings will then decrease and an upbeat mood is restored. For those who are experiencing lower serotonin levels at this time, a carbohydrate rich snack could go a long ways towards improving mood. 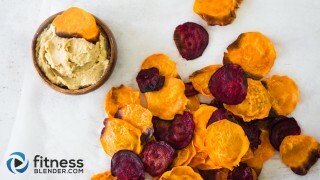 Perhaps it is wise to plan ahead for snacks like fruit, popcorn, pretzel sticks, whole wheat crackers or even whole grain toast with peanut butter. Be proactive about it; don't wait until you're starving to set up food options for yourself - that just makes it less likely that you do it, and it makes it more likely that you reach for something less nutritious. Calcium - It is important that women get enough calcium in their diets early in life as you can only lay down calcium stores until age 30. Both the onset of menopause and post-menopause put women at a much greater risk for the development of osteoporosis. The fact is that one out of every two postmenopausal women consume less than half the recommended amount of calcium needed to prevent bone loss and osteoporosis. For this reason starting as young as possible all females should be well aware of the need for calcium in their every day diet. No matter what age, adding calcium, before, during or following menopause, can help to slow the loss of bone. Calcium rich foods include milk, cheese, yogurt, leafy greens, almonds and calcium fortified foods. Vitamin D - Vitamin D is needed for the body to absorb calcium. In order to meet the high calcium needs, foods with vitamin D need to be present in the diet. Vitamin D can be found in fatty fish and fortified foods as well, but needs are also met from time spent in the sun. Almonds - This healthy snack can be very helpful during menopause. The healthy fat found in almonds can help to counteract the drying effects that many women experience with low estrogen levels. They also contain minerals and vitamins, such as vitamin E complex, manganese and copper that help to promote heart health. Protein - Protein foods stabilize blood sugars, which in turn help satisfy hunger. This will be beneficial in helping to prevent unwanted weight gain. Adding foods like chicken, plant based proteins, nuts and fish can be advantageous for menopausal women. B Vitamins - For those experiencing mood swings and a decrease in energy, B vitamins have been found to provide energy and help to diminish mood swings. Look into adding peas, eggs, dried fruit or liver for rich amounts of B vitamins. Hydration - By keeping hydrated one can ward off and decrease common symptoms of bloating and mouth dryness that happen during menopause. While water does the trick, it is also suggested to add in high water content fruits and vegetables, such as watermelon or cucumbers, which can be most beneficial at this time. Brain Food - Many women experience a slow mental decline as they age, so being sure to increase brain foods will help to ward off this decline in memory and cognitive health. 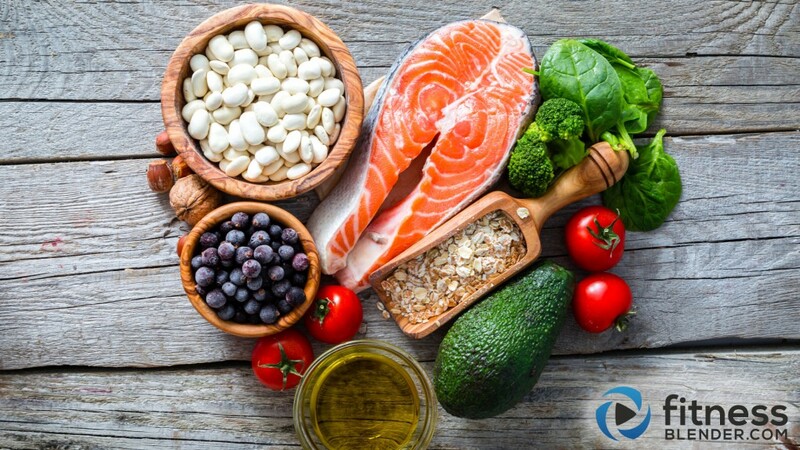 Fatty fish, green leafy vegetables and blueberries are among the foods that have been linked to improved brain function. Heart Health - Post menopause, when estrogen levels drop, the risk for heart disease increases. In fact it is the number one cause of death for women after menopause. For this reason it is important to follow a high-fiber, healthy, whole foods diet in order to protect from the risk of heart disease. In this case adding in fruits and veggies, whole grains, and beans, along with low fat dairy products and lean meats would provide heart healthy options. Eggs - Eating eggs will provide the body with a great source of vitamin D, iron and B vitamins. This perfect protein will also stabilize hunger, to help ward off excess weight gain. Iron-rich Foods - During menopause women are at risk for anemia, so adding in iron rich foods, such as red meat, beans and eggs are important to consume. It is suggested to get at least three servings a day of iron rich foods. As you can see there are many different dietary changes that can help to ease you through menopause. Take the time to plan ahead, add some of these delicious foods to your daily intake, and you can help make going through menopause an easier process.